– How Ready Are We? 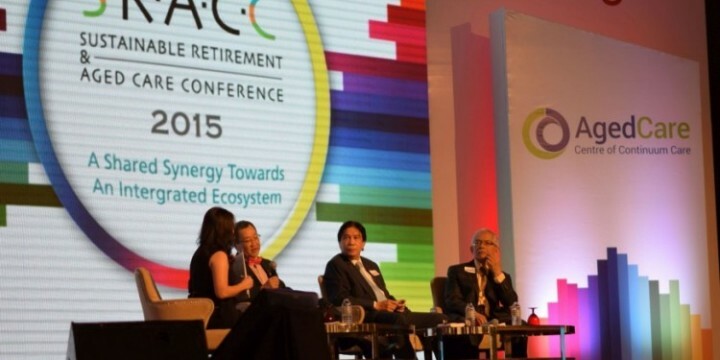 A survey was conducted at the Sustainable Retirement and Aged Care Conference which was held on 22 October 2015 at Majestic Hotel Kuala Lumpur, by Aged Care Group (ACG) to gauge Malaysia’s readiness for retirement homes and purpose-built aged care facilities as the nation officially becomes an ageing nation status in 2020. 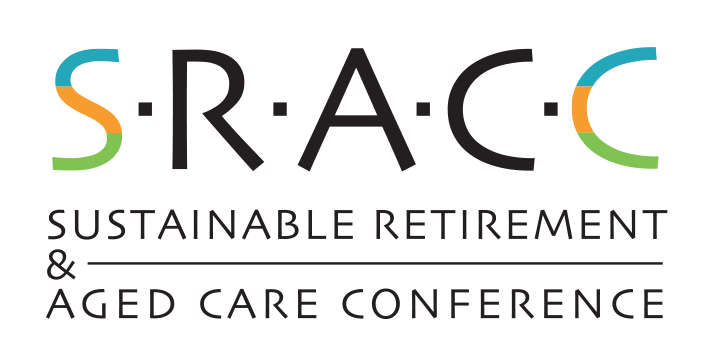 Result 1 – Percentage of individual capacity to afford retirement & aged care services and facilities based on a total of 116 respondent. 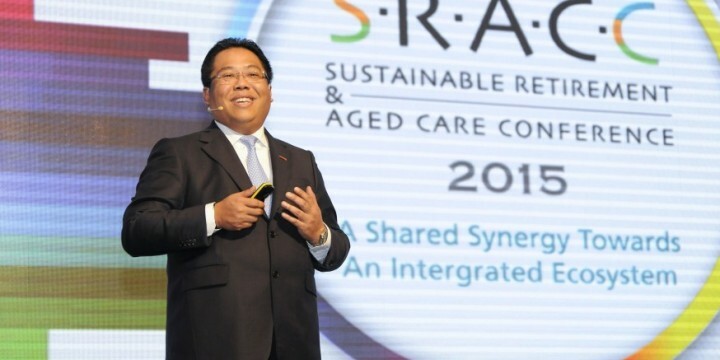 The above tabulated results depict opinions of the average Malaysian capability to afford services and facilities that cater to their retirement and aged care needs. 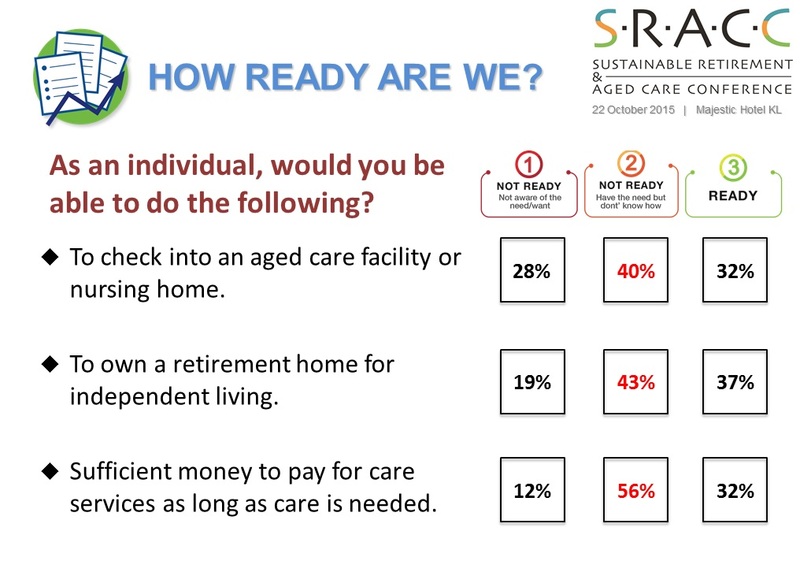 Majority of respondents selected option 2, indicating awareness of the need but are uncertain how and where to seek the services and facilities needed. 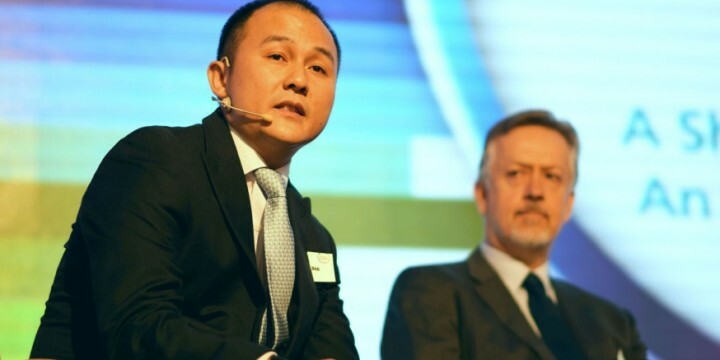 Result 2 – Business perspective on capacity to provide and operate products, services, and facilities in Malaysia. 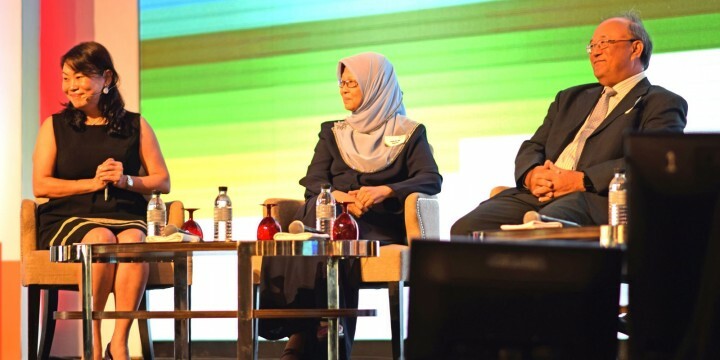 Result 2 tabulates opinions regarding the current ability of business in Malaysia to provide services and facilities for retirement and aged care needs, ranging from finance to real estate & property development to human resources. 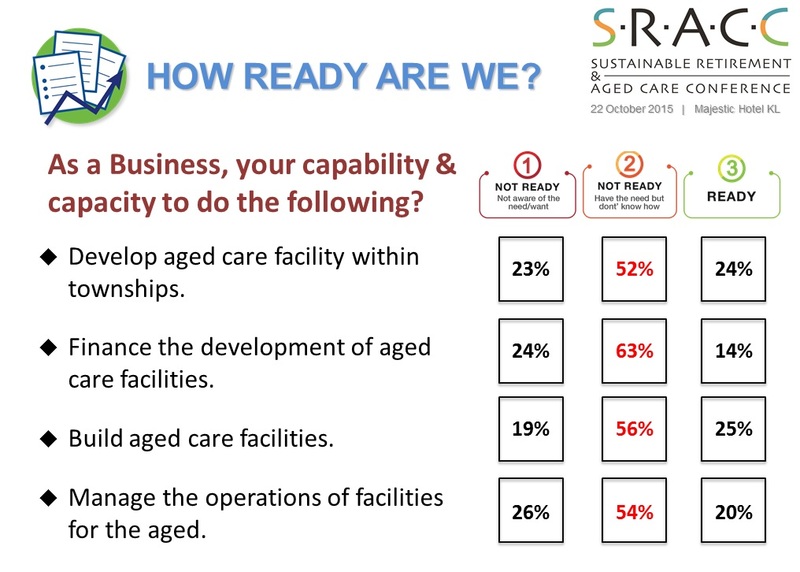 Option 2, once again has the highest percentage bracket, indicating the majority of businesses are uncertain in their capacity to navigating the areas of financing, funding, supplying manpower and operating the necessary infrastructure conducive for retirement and aged care. 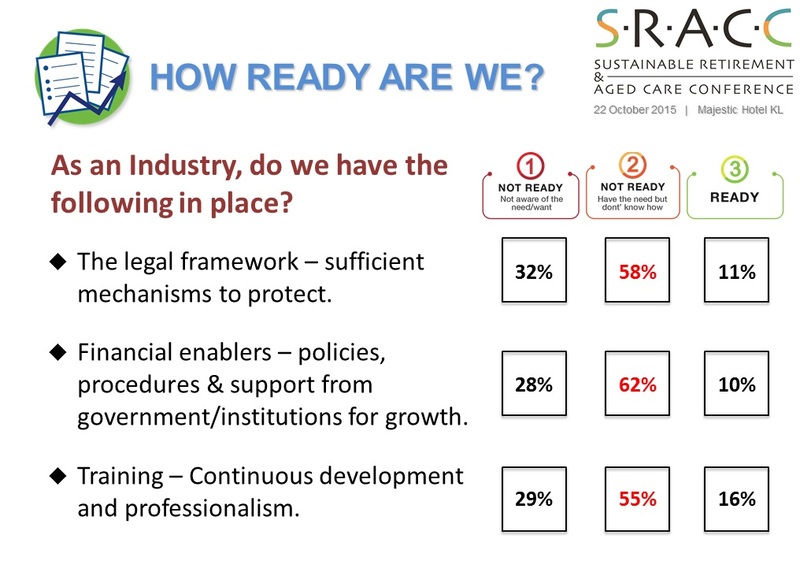 Result 3 – Industry perspective on providence and setting of legal, financial, and training components. 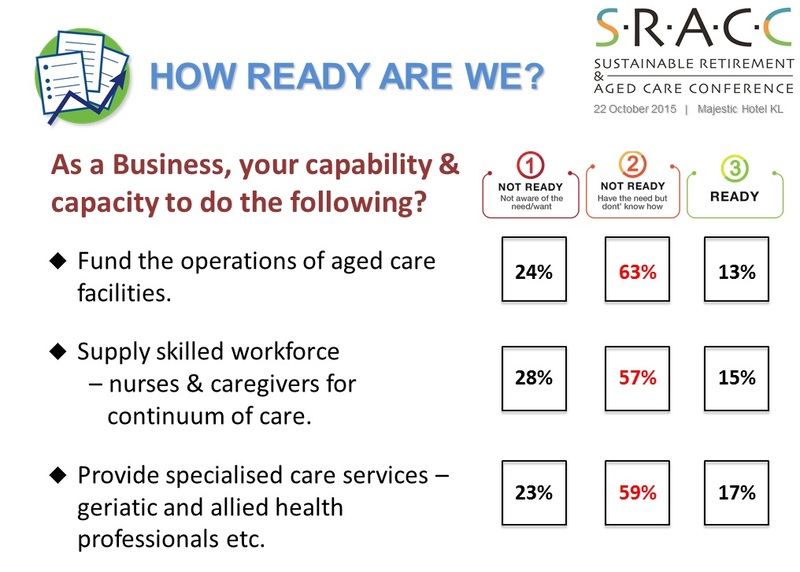 Finally in Result 3, the majority of the respondents indicated awareness of the need but are uncertain as to how to initiate and execute a legal framework, financial enablers and training that sufficiently protects and supports the aged care industry.